This Medical project in Tanzania will offer your group the chance to see how limited medical treatment is for some patients in the country, because of their way of life and location. 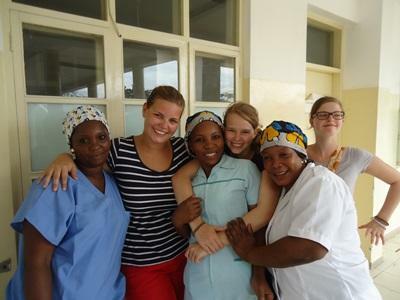 Your group will have the opportunity to make a real difference whilst learning about many different aspects of treatments and healthcare in Tanzania. The work is based in and around the town of Arusha, the gateway to Kilimanjaro. As a group you will attend regular medical workshops to learn more about current local issues such as HIV and tropical disease. The basic medical training you learn on the workshops, such as taking vital signs, will then be used on our medical outreach programmes, where you will spend your time working alongside local doctors and nurses. This project is unique and the work involved is diverse. 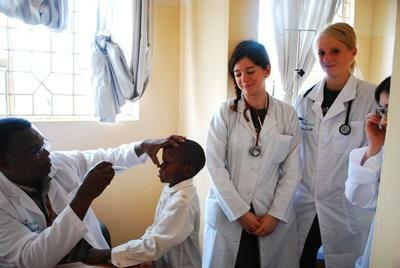 Carrying out basic health checks and shadowing medical professionals are just a few of the exciting tasks your group will be involved with on this project in Tanzania. The opportunity to observe and even assist where possible with the diagnosis of patients with a local doctor is an excellent chance to really make a difference. During your stay in Tanzania, your group can live with one of our local host families, in a hotel or hostel. At the weekend your group can visit one of Tanzania’s national parks, where they will have the opportunity to see and explore the incredible scenery. This placement is fully research, safety audited and risk assessed in accordance with the British Standard BS8848 for the Adventure Travel Sector.